cancerscreening.nhs.uk – The Department of Health website for cancer screening. 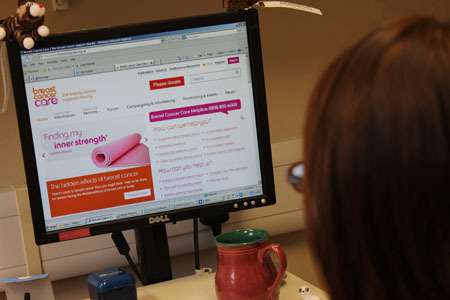 This website gives you information about the Breast Cancer, Cervical Cancer and Bowel Cancer Screening Programmes. herbreastfriends.org.uk – HER Breast Friends is a local charity which works closely with the Humberside Screening Service. We work together to promote breast awareness in the area. The charity also provides crucial support for breast patients and their families. breastcancercare.org.uk – Breast Cancer Care is a charity aimed at promoting breast awareness and supporting people with breast cancer. macmillan.org.uk – Macmillan provides support for people with all types of cancer. Their website contains all sorts of useful information.